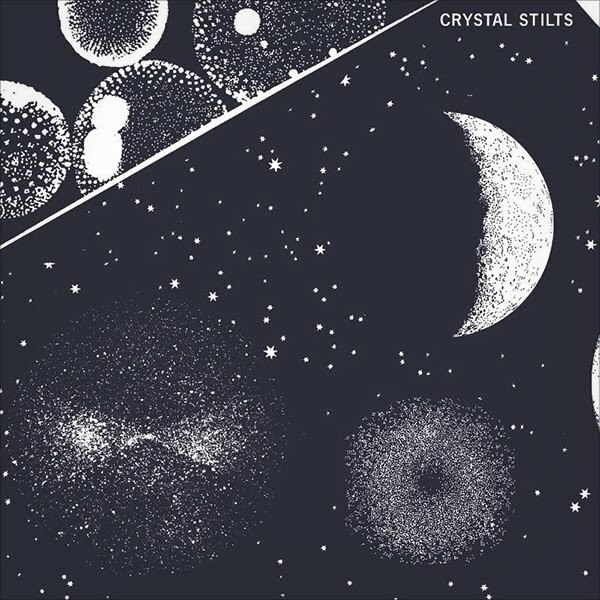 A quick one here on the new Crystal Stilts album. I might be one of the few people that didn't love Alight Of Night - I liked it, sure, but I couldnt understand the avid devotion. But I have to say that after a few listens In Love With Oblivion resonates. I feel that it's on tracks such as 'Through The Floor', 'Sycamore Trees' and 'Alien Rivers' that the dark strung out nature of the band's musical MO rises above, melding with Brad Hargett's monotone vocals to create a set of songs that embrace the dirtier side of pop. Admittedly the production values have been brushed up a bit, and there are other aberrations from the CS norm, especially in the sprawling psych tinged jam that is 'Alien Rivers'. But overall this menage-a-trois of swampy dirge, hipsterfied disdain and adherence to pop aesthetics really works. You can by the album through Slumberland Records here.